In Neon Genesis Evangelion, why are Angels attacking? Why are Angels attacking the earth? What's with "Adam" in the basement? And why are the three computers named after the Three Wise Men? I love the story for the characters and the mecha-battles, but all the symbolism goes over my head. What's it all about? Why are Angels attacking the earth? The exact reason that they are attacking Tokyo-3, or in the case of Gaghiel the Pacific Fleet and Unit-02 (or possibly the embryonic Adam), seems to be for a number of different reasons. One of the theories thrown around within the show itself is that they're trying to re-unite with Adam, but Adam doesn't arrive in Tokyo-3 until episode 8 in an embryonic form, so the first few attacking Angels were apparently either mistaken that Adam was there or mistook Lilith for Adam (as Kaworu later did in episode 24). There aren't any official explanations on what the Angels were after, and the closest thing is from the Classified Information's Angel section which says: "Some of them were trying to access Lilith and reset all life, some of them had nothing in mind, and some were trying to recover their progenitor Adam." What's with "Adam" in the basement? We are originally told that "Adam" is in Terminal Dogma, deep underneath Nerv HQ. This is what Kaji told Misato in episode 15, along with the tidbit that any Adam derived life that came in contact with the white giant would cause third impact. Later, we find out that the white giant on the cross is actually Lilith. 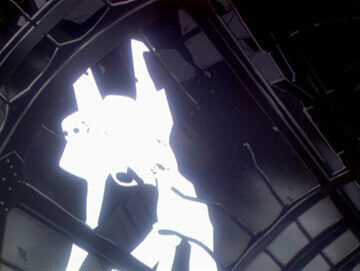 Which looks very much like an Evangelion, which are derived (or cloned, for lack of a better word) from Adam. 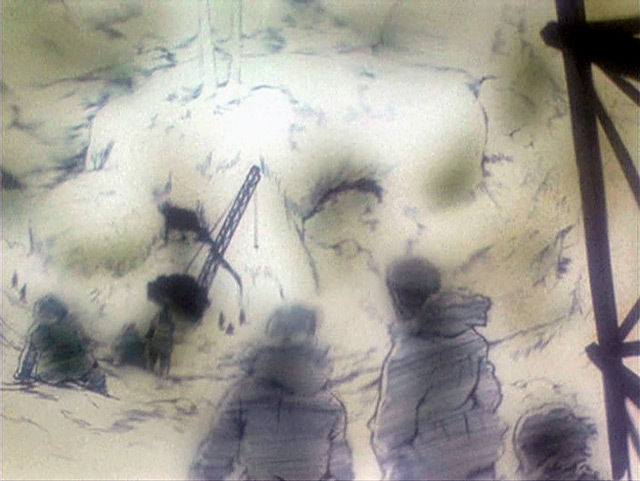 So retroactively, it's possibly that Kaji was either lying to Misato to protect her from the truth, or he himself had been misinformed of what the white giant on the cross was. As far as Kaworu goes, in the "Director's Cut" episode of 24, he was told by Seele where Adam's body was (in Gendo's hand) yet Kaworu still went down to Terminal Dogma, and was somehow expecting to see Adam down there, then was surprised to find Lilith. Not sure why, it doesn't make any sense. By the time of the End of Evangelion movie, it's revealed that Rei Ayanami had the soul of Lilith, and during the movie she and Lilith's body reunited. Not sure if all of this really answers your question though. And why are the three computers named after the Three Wise Men? This is simply pedantic by the creators. From an interview with Kazuya Tsurumaki he says, about the Judeo-Christian themes: "There are a lot of giant robot shows in Japan, and we did want our story to have a religious theme to help distinguish us. Because Christianity is an uncommon religion in Japan we thought it would be mysterious. None of the staff who worked on Eva are Christians. There is no actual Christian meaning to the show, we just thought the visual symbols of Christianity look cool." So the reason if probably that it looked/sounded cool, and that it would fit with the general theme of the rest of the show. The Kabbalistic tree of life is basically measuring you and your position from God. Gendo of course painted a Kabbalistic tree of life in his office where he sits at the top of the tree as if he was God. In EOE, Shinji was raised into the Kabbalistic tree and the mass-produced angels stick their cores (Jesus?) and was prepped to become God? I have no idea. Whatever. Just my 2 cents. What are the “Angels” called in the original Japanese version?